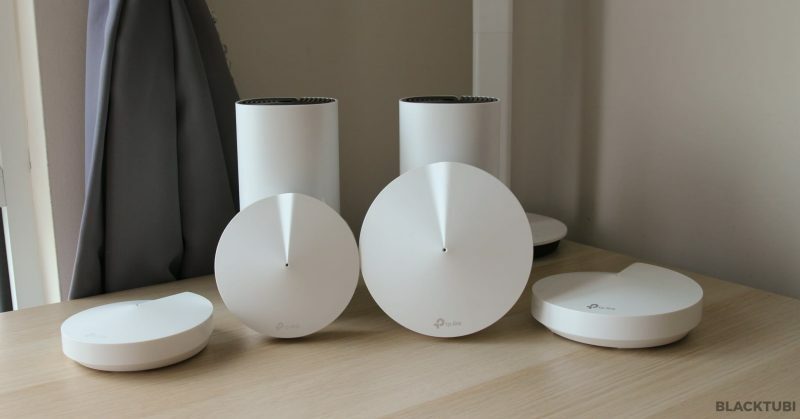 Before I come across TP-Link Deco mesh WiFi system, I was confident telling everyone that getting a high end WiFi router is the solution to good WiFi coverage and faster WiFi speed. Now, I’m not so sure if I will tell the same answer. 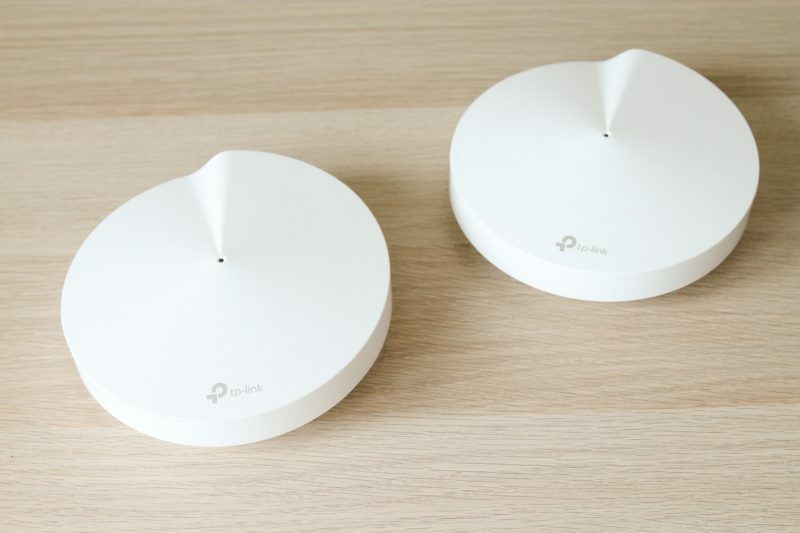 TP-Link Deco Mesh WiFi system is very different from the typical TP-Link routers: it’s got a very pretty design, the firmware is constantly updated, and it has bonus features like 802.11k/v/r fast roaming, AP steering and band steering. 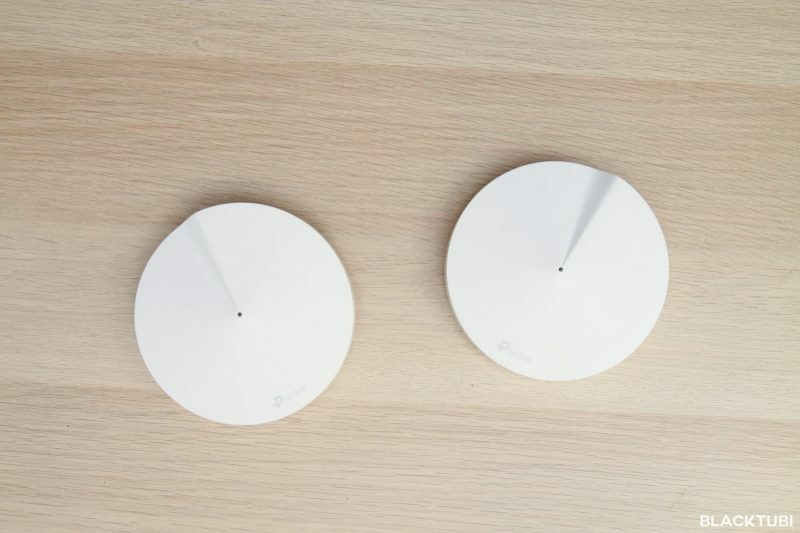 It’s a direct rival to Google WiFi and Netgear Orbi. Mesh WiFi is not as complex as you thought. It combines the usage of multiple WiFi nodes and software optimization for the best WiFi experience. You will have a main unit that is connected to the ISP modem and multiple WiFi nodes or satellite unit that can be placed around your house. They will all work together and blanket your house with strong WiFi coverage. TP-Link Deco currently have 4 models each with different focus and we will take a quick look at them below. 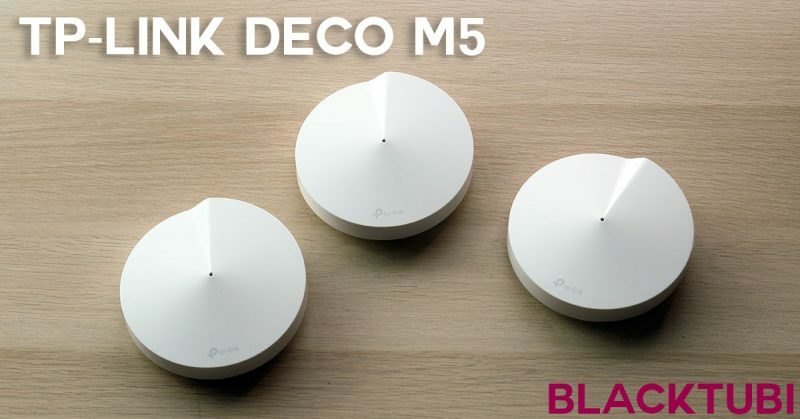 All Deco mesh WiFi system is compatible with Unifi but HyppTV support is coming soon for the Deco M4 and Deco P7. TP-Link best mesh WiFi system with a AC2200 Tri-Band configuration for the best mesh WiFi performance. It also included Antivirus to protect your internet connected devices. 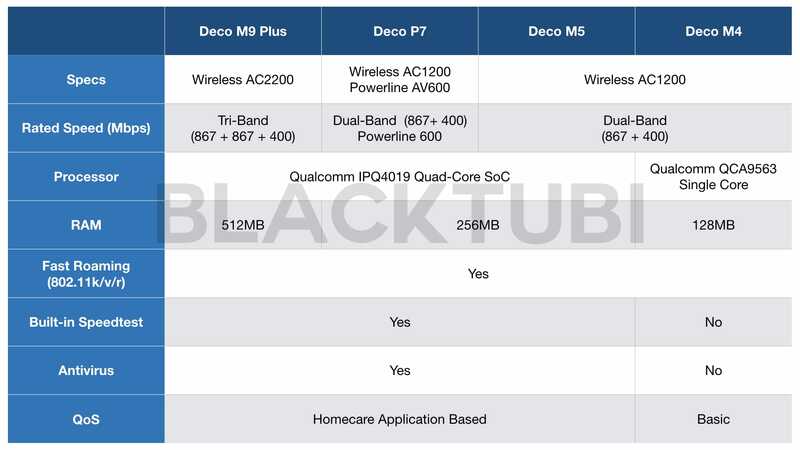 The Deco M9 Plus is the fastest Mesh WiFi system sold by TP-Link . It features a Tri-band Wireless AC2200 configuration for the best performance. By having a dedicated band constantly reserved for the mesh backhaul, it effectively double the capacity as the mesh backhaul is not shared with the normal WiFi connectivity. The Deco P7 features an innovative powerline + WiFi hybrid for the backhaul for the Mesh WiFi. It improves performance and capacity. TP-Link Deco P7 is the second best Mesh WiFi system by TP-Link. In addition to using WiFi connectivity for the Mesh backhaul, it features powerline backhaul ability (PLC). The powerline adapter is integrated into the product without any additional adapter required. This resulted in better mesh performance. 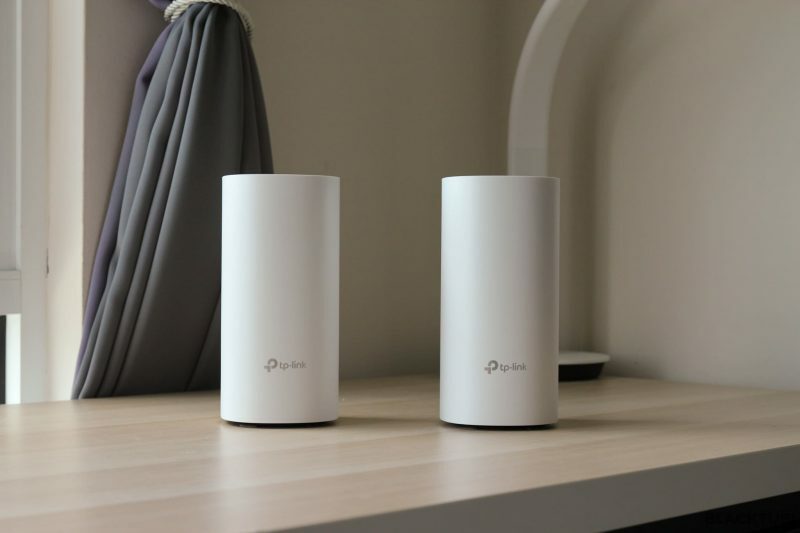 As powerline works by using the existing power cable of your home, it can work even there is no WiFi connectivity between your main router and mesh node. TP-Link Deco M5 delivers promising performance with wireless AC up to AC1200. It also included Antivirus to protect your internet connected devices. TP-Link Deco M5 is TP-Link best selling mesh WiFi system thanks to the inexpensive price and good performance. Despite having similar AC1200 WiFi spec, it comes with a better hardware than the Deco M4. This resulted in better WiFi coverage and faster WiFi speed. TP-Link Deco M4 is TP-Link entry level mesh WiFi system with good value for money. It delivers promising performance for good WiFi coverage. Get mesh WiFi system, you will be impressed.